Derwent Watercolour Pencils comes in 72 versatile colours and are ideal for mixing with water to create interesting colour flows. 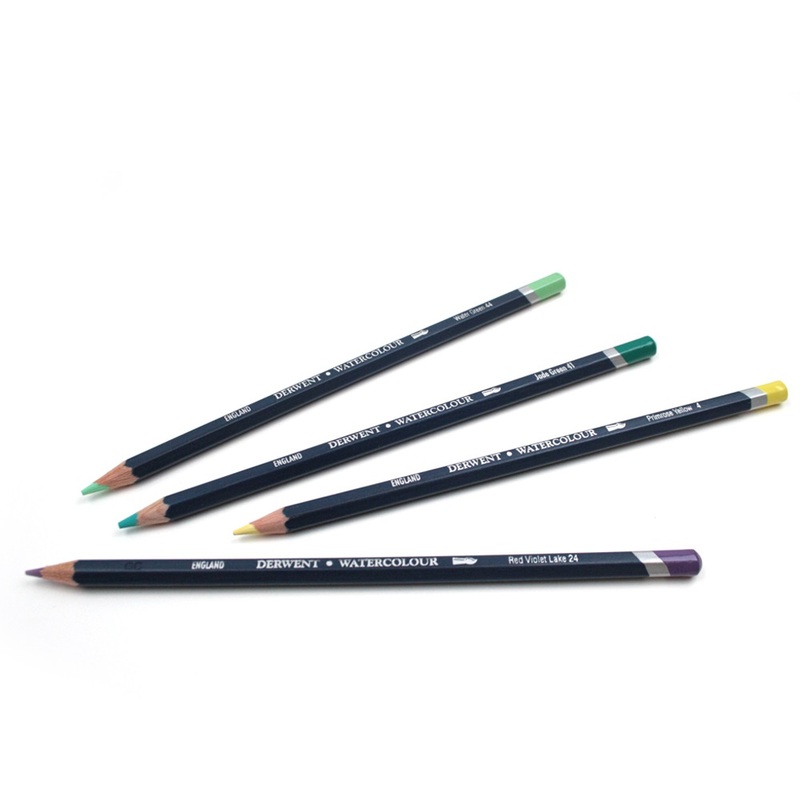 It can also be used dry and due to the pencil's soft texture they are easy to blend and layer. Highly pigmented to allow maximum colour purity and light fastness. Soft, smooth, 3.5mm water soluble strip for painting and drawing, ideal for mixed media work. Hexagonal 6.9mm barrel made in Californian incense cedar wood, for greater control with detailed work.